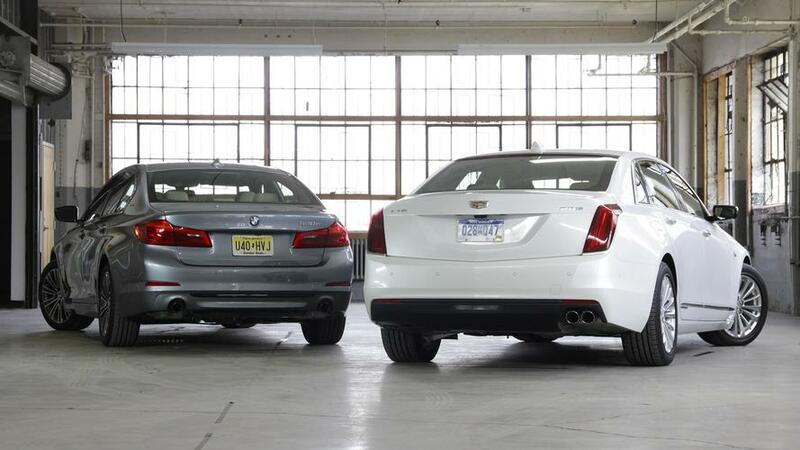 BMW 530e vs. Cadillac CT6 Plug-In: How Green Is Your Lux? 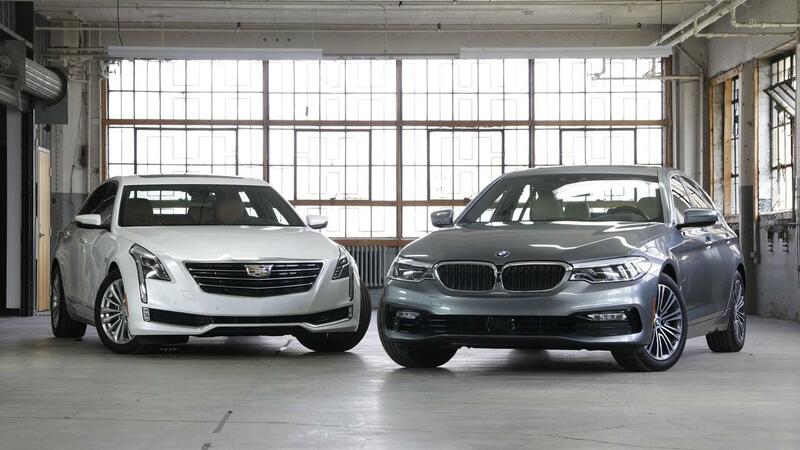 The BMW 530e and Cadillac CT6 Plug-In would both like to electrify your next luxury sedan. The world of electric vehicles and plug-in electrics is messy, but expanding, circa the fall of 2017. Elsewhere in the world of cars, I’d never have agreed to compare two sedans that differ in price, size, and overall capability – what’s the point? In this case, with plug-in hybrid versions of two luxury sedans, rarity forced a match up. 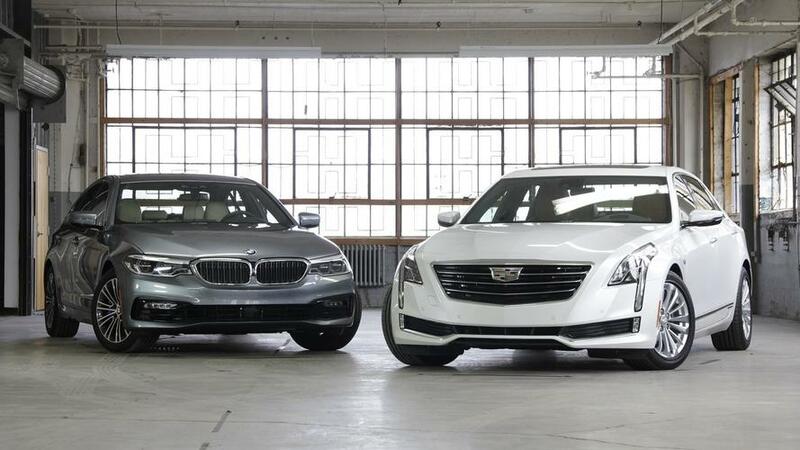 The BMW 530e and the Cadillac CT6 Plug-In are early players in the electrified luxury game. Though the BMW is a lot less expensive to start, and the Cadillac is larger and more powerful, there’s still some credence to the idea that, if you’re looking for a dashing, green-leaning luxury car, both of these vehicles should be on your list of test drives. 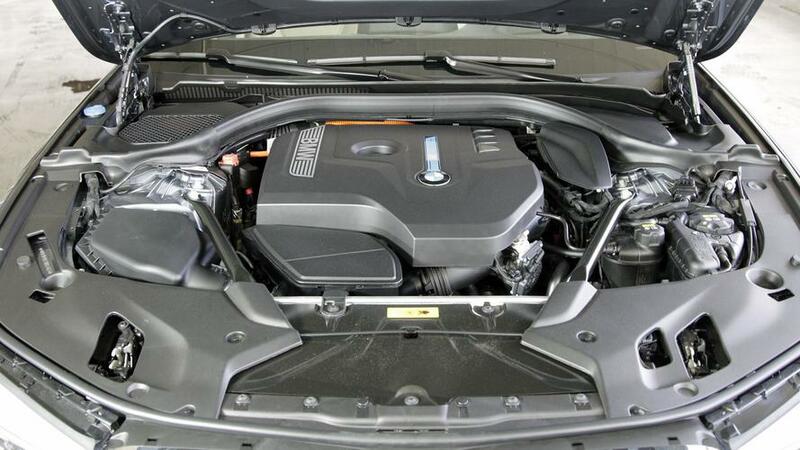 BMW: The 530e combines a turbocharged 2.0-liter four-cylinder engine with an electric motor and a 9.2 kilowatt-hour battery pack, (eDrive in BMW-speak) for a total system output of 248 horsepower and 310 pound-feet of torque to all four wheels. The BMW-estimated 0-60 time of 5.8 seconds seems conservative to me, though some of my real-world impressions were certainly colored by the strong feeling of electric torque during aggressive standing starts. As you’d expect, even when the 2.0T kicks on the sounds of motivation are rather dim, so there isn’t a lot of stimulation to keep my foot to the floor after a quick stoplight getaway. On that same tip, though the eight-speed automatic transmission offers quick shifts and a direct-feeling manual mode, I’m not much inclined to play with it. 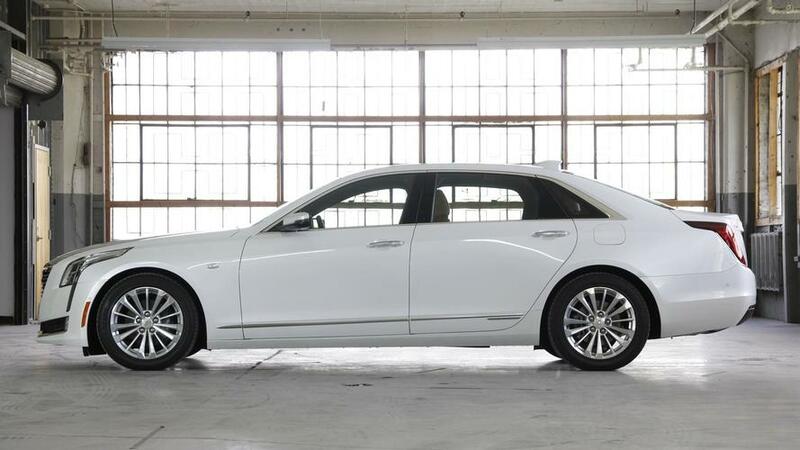 Cadillac: While the CT6 shares basic gas-plus-electric principles with the 530e, the powertrain of the larger Cadillac is more impressive in every regard. It’s more powerful, to start. 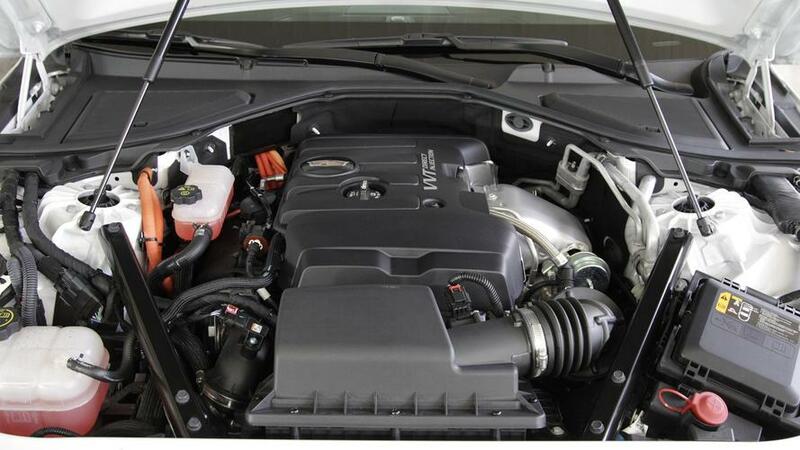 The engine here is also a 2.0T four, but with a two-motor electric drive unit at the rear (and an 18.4-kWh battery), horsepower for the Caddy measures out to 335, with a combined 432 pound-feet of torque. Even though the 5er is no sluggard, I don’t need to read the Cadillac-estimated 0-60 time of 5.2 seconds to feel that the CT6 is quicker. 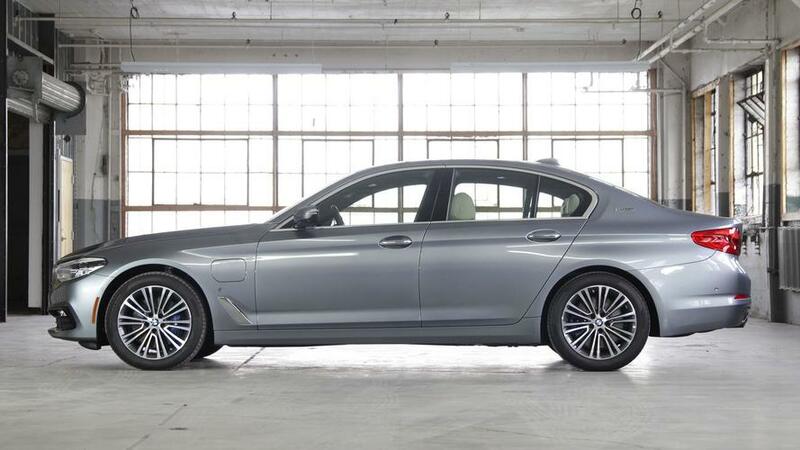 BMW: At the end of the day, this is a sedan constructed with comfort and luxury in mind, but that doesn’t mean the 530e has abandoned the good-handling traits that have helped to build the 5 Series reputation. That means that while steering feedback and feel are both pretty low, and there’s a heaviness to the car that doesn’t exist in non-electrified versions, corners are still places to have a bit of fun. Turn-in is crisp, and the numb-ish steering is nevertheless accurate mid-corner, without much need for micro-corrections. Mostly though, the experience is characterized by a lovely, quiet, and supple cruising quality, even around my office in Detroit where the roads are wretched. If you’re mostly interested in the 530e as a luxury car with an innovative powertrain, you’re not going to be disappointed. Cadillac: As a larger yet more comfort-oriented vehicle than the compared Bimmer, the CT6 comes at the ride/handling question with a refinement-first mindset. Surfaces ranging from the same ravaged city streets mentioned above, to fresh highway asphalt, all feel uniformly glasslike while I’m at the helm of the Caddy. Call up more athletic driving, and though the CT6 doesn’t completely fall to pieces, it’s not quite so tidy as the 530e. Neither car is very tactile, but the Bimmer feels a lot more willing to change direction quickly than the longer, softer Cadillac. Where the CT6 Plug-In’s stronger powerplant offers hope that it’ll be the sporty offering of my odd couple, the suspension and steering response let it down. 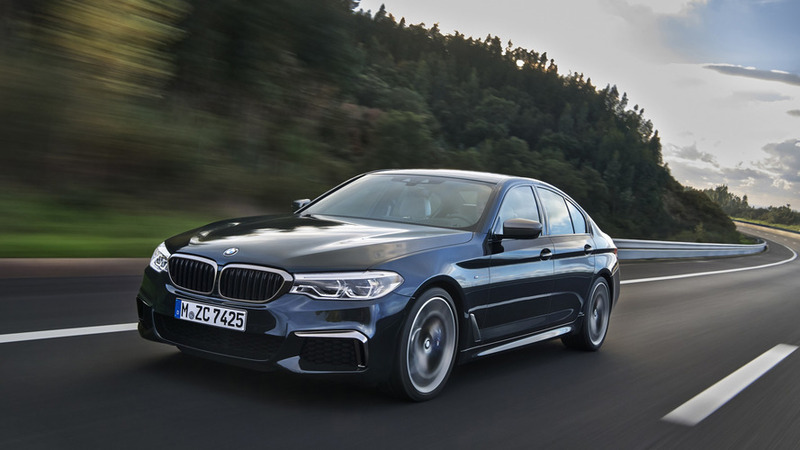 BMW: The combination of all-electric driving and an efficient gas engine nets the 530e xDrive and excellent 67 miles per gallon equivalent rating (a rear-drive version is also available, and slightly more efficient). But if you’re considering a plug-in hybrid with more electric driving in mind, the BMW and its smaller battery pack offer dimmer hopes. While BMW enthusiastically estimates around 30 miles of EV range, the EPA predicts closer to half that, at 15. The reality might be somewhere in the middle, though still not up to the CT6’s game, with its much bigger set of batteries. Still, since the 530e is smaller and lighter than the CT6, drivers with long commutes or a propensity for extended road trips will probably net out ahead, thanks to the higher level of total efficiency. Cadillac: If you were paying attention above, you’ll have already noted that the CT6 has exactly double the battery capacity of the 5 Series, and therefore a massive leg up in this section of comparison. Some 31 miles of all-electric range should allow for the sedan to be driven effectively as an electric-only vehicle, for many people, much of the time. If you have a 10-mile commute, for instance, you won’t even have to rely on charging at the office to stay within your EV blast zone. As one of the main arguments for plug-in hybrid tech at all, that’s pretty cool. Oh, and if you do drive more than 30 miles per day, the rating of 62 mpge is still heartening for your estimated yearly fuel costs. 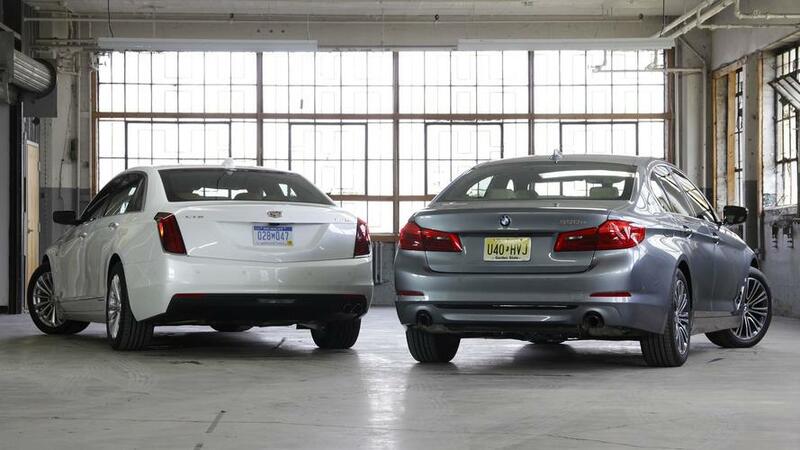 BMW: The 5 Series is classified as a midsize car, while the CT6 is a fullsize; since the Bimmer is ten inches shorter overall, you know you’re going to lose some space somewhere. The good news is that, if you’re not planning on using the rear seats as often, space is still generous for the driver and front passenger. At six-feet, five-inches, tall, I easily found a driving position that was both comfortable and which offered fine visibility. The other size advantage that the 530e has is a larger trunk – 14.5 cubic feet versus the 10.6 of the CT6 Plug-In – no doubt down to the smaller, less intrusive battery pack. In terms of equipment and trimming, the BMW gets the nod in my mind, too. My test car felt well appointed without being ostentatious, though I’ll admit that some different colorways or trim packages might have changed that. 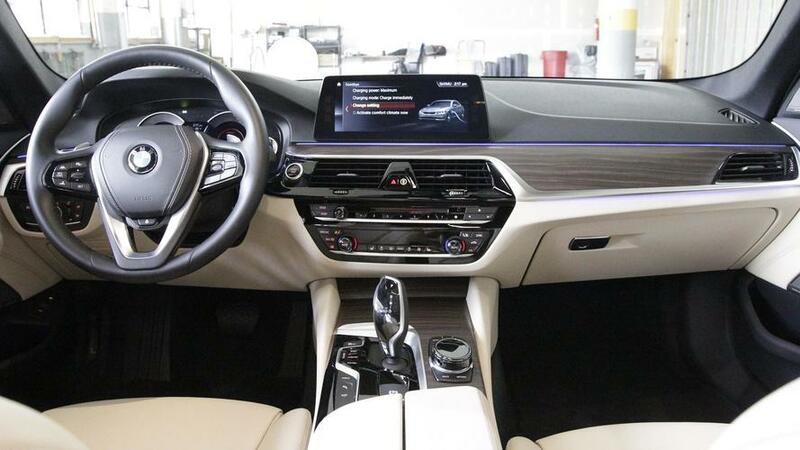 The trump card is BMW’s latest infotainment system, iDrive 6, which is really feature-rich and smooth in operation. 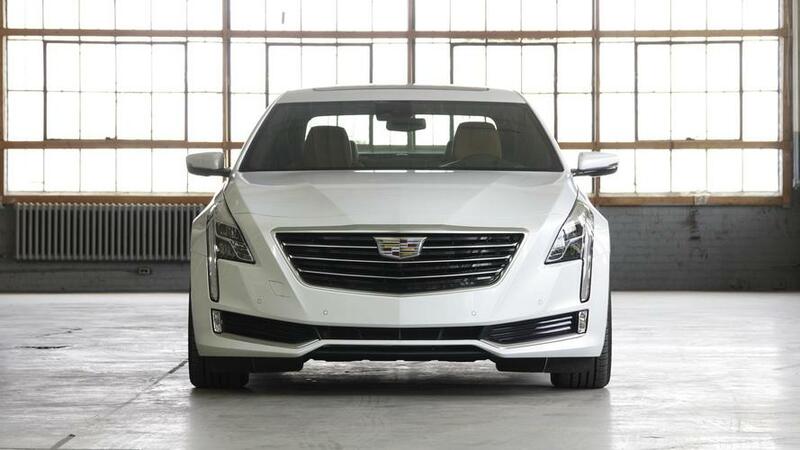 Cadillac: The CT6 interior treatment felt hit-and-miss for me. On one hand I really loved the look and feel of the leather-trimmed seats, as they felt at once sportier and more comfortable than the also-very-good BMW chairs. Countering that are the center stack and infotainment screen, both of which would be just fine in a vacuum, but whose design feels flat and slightly old fashioned when compared to the 5er. There’s a world more room, of course, front and back. With scads of legroom and seatback-mounted screens, it’s clear that Cadillac wants the rear quarters of the CT6 to feel like an executive lounge. 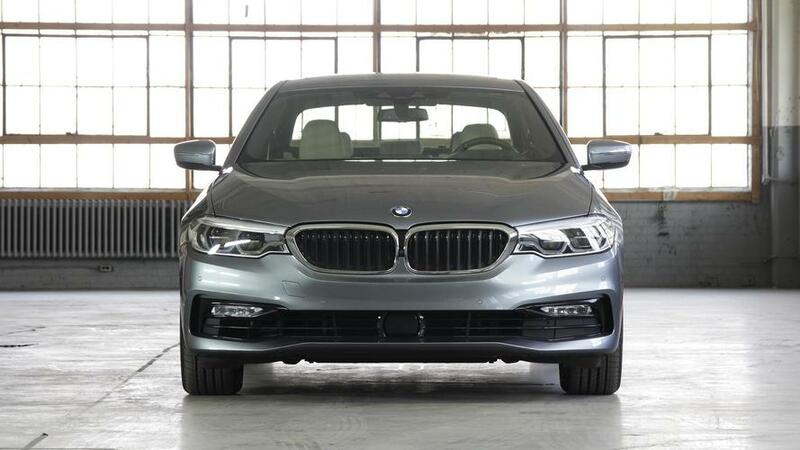 BMW: To a certain extent this is where the apples to oranges comparison is most difficult; one class size down compared with the CT6 Plug-In, the 530e xDrive is far less expensive at $54,700 before any options, or any tax credit deductions. If you really want a luxury sedan with a plug-in electric powertrain, ahead of any other considerations, this is going to be more cost effective up front than the Caddy. Please do bear in mind that my test car, wearing more than a few options packages (Premium Package, Driving Assistance Plus, Lighting, etc. ), hit an MSRP of $68,760 – not nearly so far off the CT6 starting price, there. Cadillac: Meanwhile, the CT6 Plug-In comes almost fully loaded, and starts at $75,095 before tax credits or destination. My version had only one option – Cadillac clearly knows this car has to be highly contented to sell – $500 for Crystal White Tricoat paint. Comparison tests are always tricky, and comparing two rather unlike things doesn’t make it any easier. But I started this endeavor with the idea that the scarcity of the plug-in luxury car was enough to make this make sense, so it only holds to deliver a verdict based on that criteria. So, while the BMW has undeniable advantages – price being the most impactful – as evidenced by my own category breakdowns, it ends up being a pretty easy win for the CT6 Plug-In, in my mind. Why? Because though the 530e is probably the more well-rounded luxury sedan, and it happens to have some utility as an occasional EV, the Cadillac is a car that you can utilize as an electric car much more of the time. Add to that its powerful on-road performance and great size, and you’ve got a car that’s blazing the way forward for green luxury.